8/9/13 at the Wisconsin State Fair. Aug 09, 2013 · 8/9/13 at the Wisconsin State Fair. Follow me on twitter: @cakeheartache. 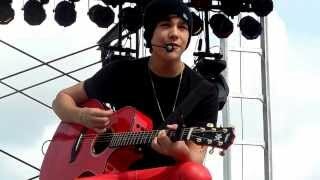 Austin Mahone - Let Me Love You (WI State Fair Preshow) Austin Mahone - Let Me Love You (WI State Fair Preshow) 21:58. Austin Mahone Performing 7/24/13. Austin Mahone Performs Let Me Love You @ B96 Pepsi JingleBash . ... Let Me Love You (WI State Fair Preshow) August 10, 2013 (about 1 year ago) HD. Author: brittann9.